This promotion is a sequel to the original Saiko Soda promotion, featuring original artwork by F*Kaori (a graphic designer and illustrator). 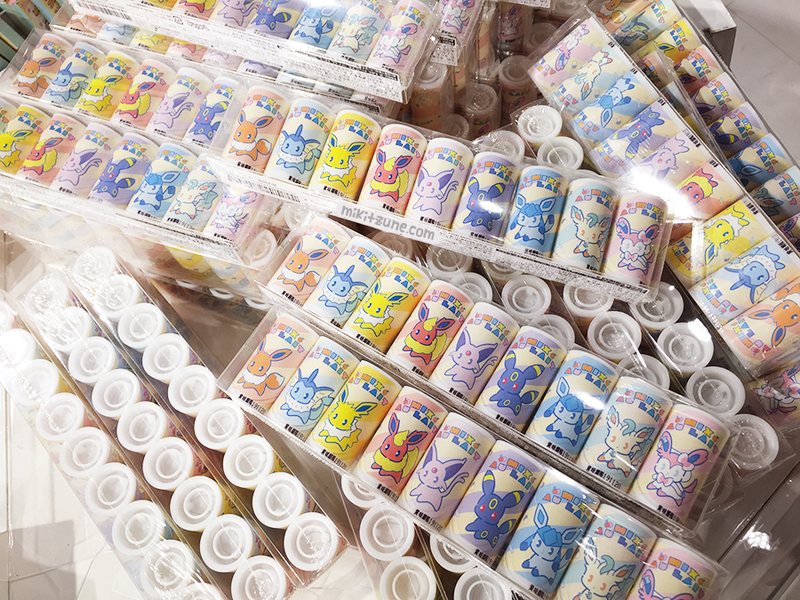 While the first release focused on a soda pop theme, this new one has a mixed canned coffee theme, with each Eeveelution having their own individual flavor and design. 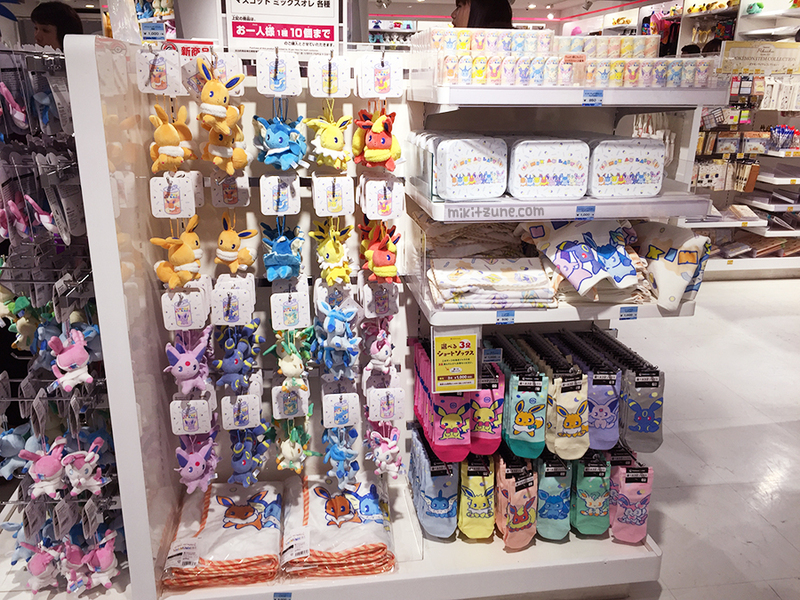 Along with plush sized versions of the previously released Saiko Soda Eevee and Pikachu mascot plush. Along with the plush, there were also a set of 9 mascot plush and plush face badges. The badges have safety pins on the back to make them easy to attach to things like bags, clothing, whatever you want. The mascot plush ended up being different poses than the main plush, which was sort of a surprise to me. Between the two designs, I personally prefer the sitting plush (I’m not the biggest fan of the faces on the mascot plush). On the other hand, the plush face badges were a cute and original idea! 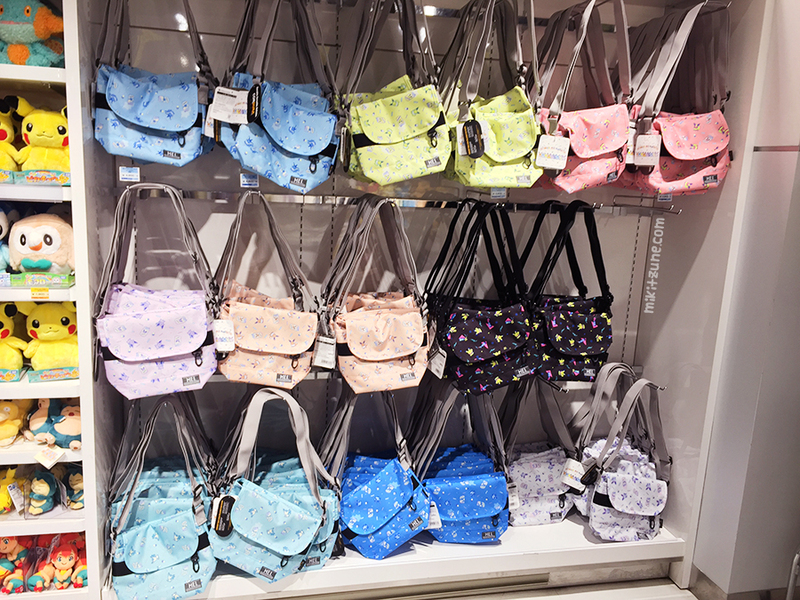 A surprisingly popular part of the release were the MEI brand messenger bags. These bags are not the biggest (definitely not big enough to hold a laptop unless it’s an incredibly small one that maybe doesn’t exist and is actually a tablet) but they’re still fairly sturdy, a nice size for every-day items like phones, aforementioned tablets, notebooks, wallets, glasses, etc., and they’re cute! There were 10 designs in total for the bags, with 1 for every Eeveelution plus 1 (not pictured) with Saiko Soda themed Pikachu. Another cute item from the release: pens! 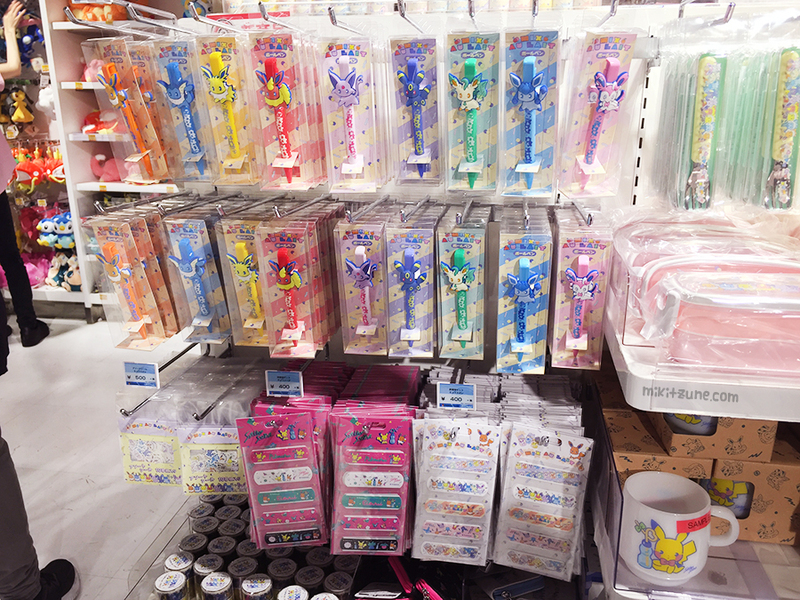 There were a bunch of group Eeveelution items that are also worth mentioning, including bandaids, a tupperware set, a 2-tier bento box, two types of heat resistant glass mugs, and a pack of assorted stickers (which were more popular than I was expecting). 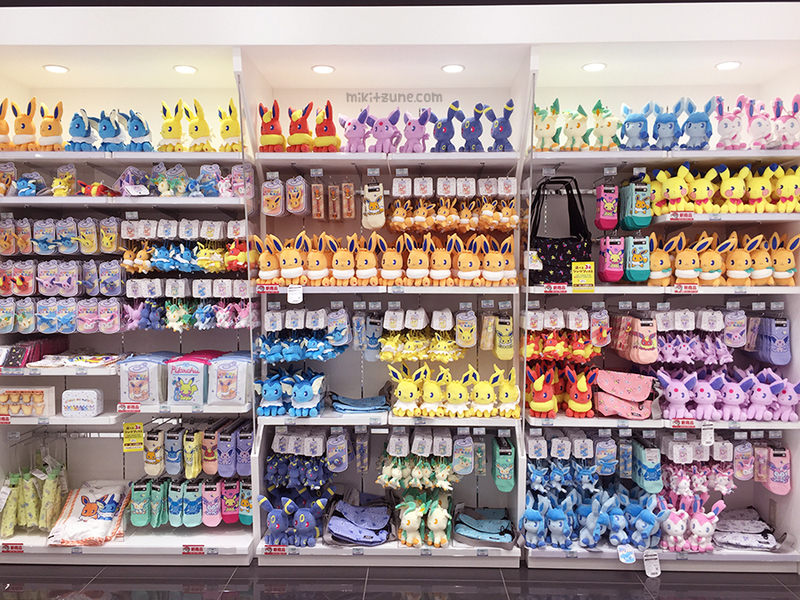 There were also socks, with designs available of all the Eeveelutions plus Saiko Soda Eevee and Pikachu. And not forgetting the glass mugs with individual Eeveelution designs that were only available on-line. The cookie tin ended up being slightly smaller than I was expecting, but that’s not a bad thing! Each tin comes with an assortment of vanilla butter cookies shaped like Eeveelution faces. I’m pretty sure you are guaranteed at least one of each Eeveelution plus one or two extras but I might be wrong. I know I got Eevee, Sylveon, and Umbreon, and honestly that’s all I care about. Along with cookies, there was a new item. Keeping with the pop theme, the Center sold a set of 9 Eeveelution themed candies. Each package is shaped like a canned drink and contains yummy ramune candy! Last but not least, there were also three gacha releases! There were two sets from the Mix Au Lait series, with a different Eevee in Volume 1 and 2, plus a separate Saiko Soda gacha set including a third Eevee, plus Pikachu, Oddish, Swirlix, and Litwick. 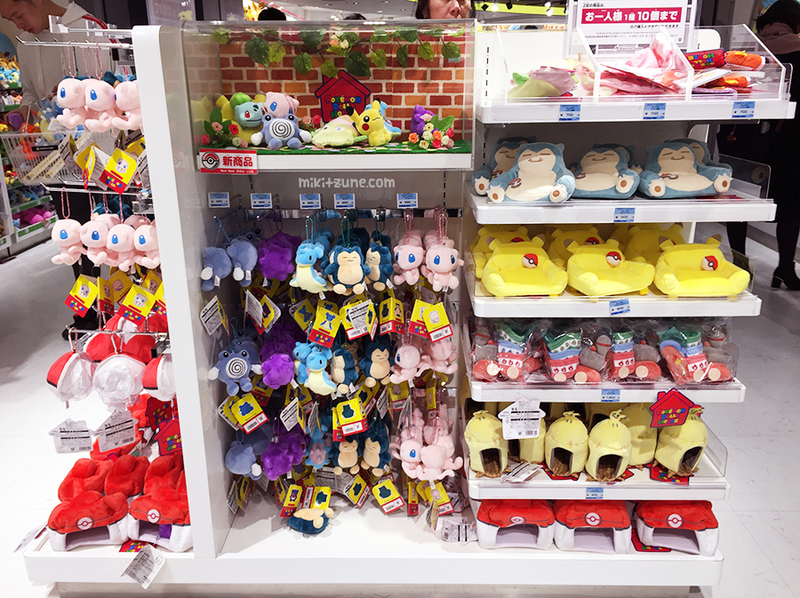 The second release that came out on New Years was the Pokedoll mascot & plush accessory release. The Pokemon featured in this release were: Snorlax, Mew, Gengar, Lapras, and Poliwhirl. Plus a couple other items including a Pikachu bus, a small train, and a Mimikyu tent! On a parting note, shopping on New Years morning at the Pokemon Center was one of the nuttiest decisions of my life. After waiting all night from midnight to get a Lucky Bag, the Pokemon Center was a mob scene with the line for the registers extending out of the store and down the hall. To make it worse, for about an hour or so after opening, half the registers were devoted to people buying Lucky Bags so the register line for regular items wasn’t moving. I jokingly mentioned to Jen from Japanstuffs that it was like being perpetually stuck in purgatory, except it wasn’t funny, and it was more like hell because it was so hot and full of people. Eventually the line started to move and we did eventually leave (or am I writing this from line still?!) but wow. 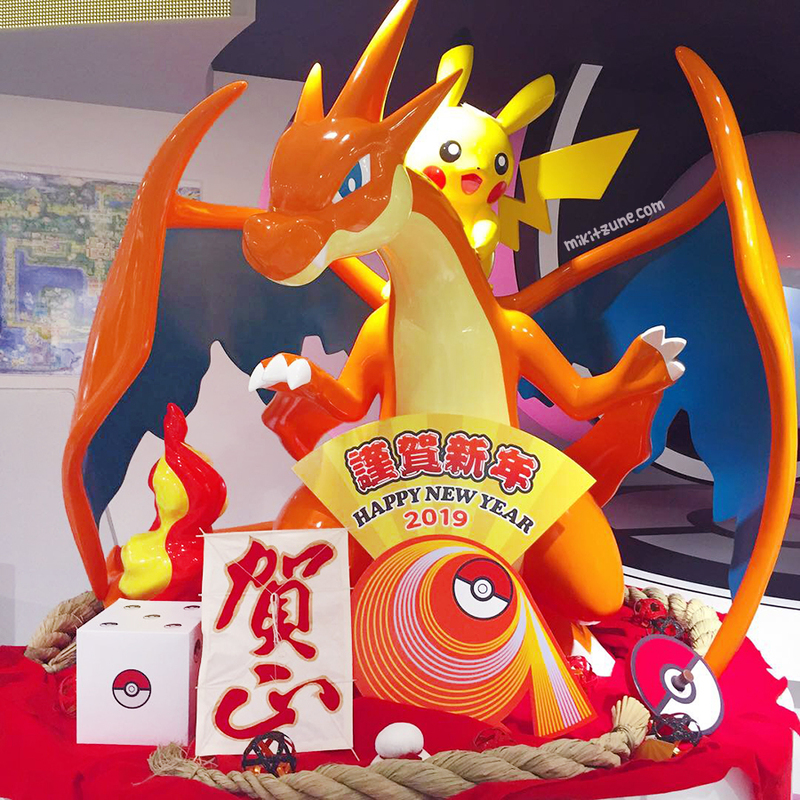 I thought last year was bad, but it seems every year New Years at the Pokemon Center gets worse and worse, at least regarding their inability to stagger releases and crowd control. And on that delightful note… that wraps up this week’s Pokemon Center Report!